I have just saved almost $50 on my office depot order with my Travel 10 savings card. All I had to do is pay just $10 a month and be able to save thousands in a year! I'm loving Travel 10. I played $10 and saved almost $50 and just think, this was just one order and the month isn't even over yet. It's so easy to save hundreds in a month. I highly recommend Travel 10 to anyone looking to save thousands every year. Thank You Travel 10 the benefits are Amazing!! I started using the Benefit Hub for shopping discounts right away. My washer stopped working so I figured why not check out what I can get through the Benefit Hub. 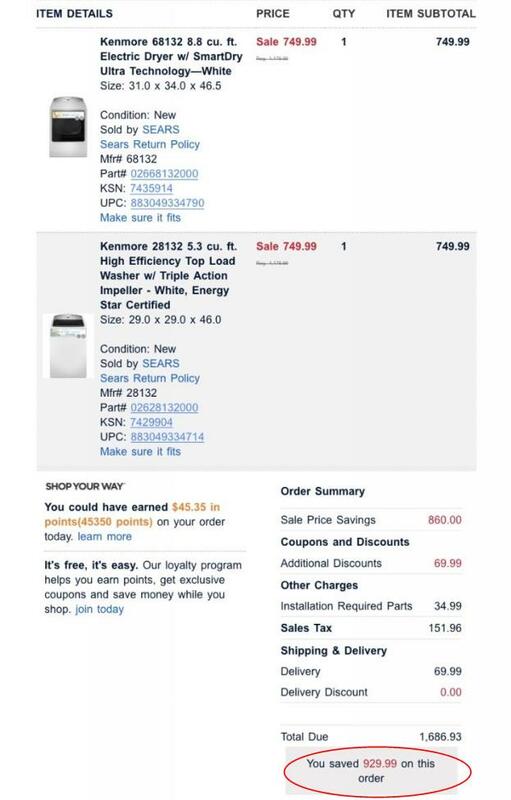 Not only did I just save $929.99 I am also getting 6% cash back for using the site. 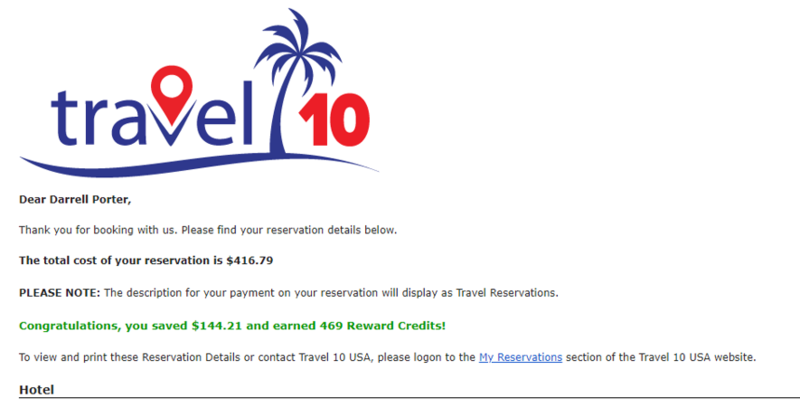 Another Travel 10 membership savings!! 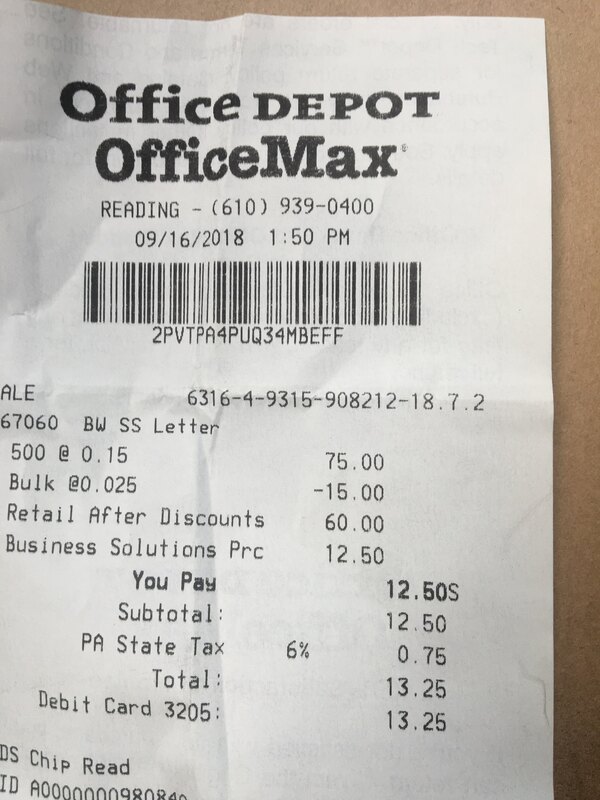 I saved $11.35 at Office Depot!! 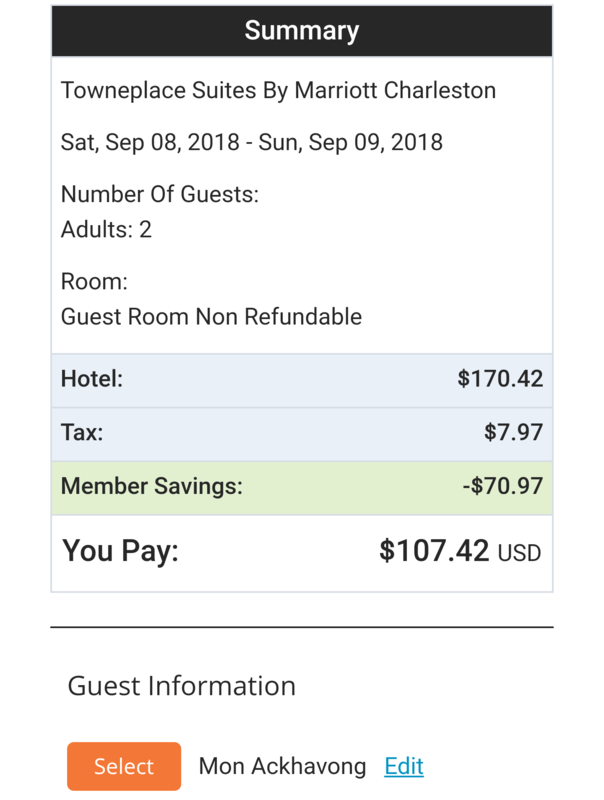 Saving over $70 on our night stay in charleston sc 09-08-2018. 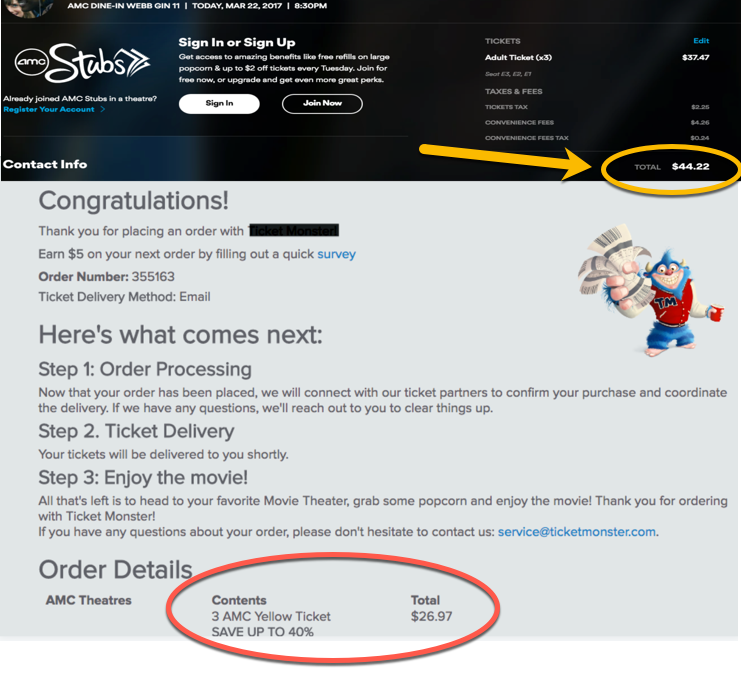 OMG...I just paid $8.00 for a movie ticket to see "Mission Impossible" ...through my Travel 10 Subscription. That's AMAZING! Not only do I get SAVE Money, I get to Earn Money by helping others...SWEET! I was not new to the Benfits Hub when Travel 10 launched. So I already knew what savings I could get,or so I thought. They have added so much stuff to the Hub my mind almost blew a gasket! !Like they have a membership where you can save on gas,a store where you can get a $2500 credit to shop where you still earn cash back for your purchases,you can hire a personal grocery shopper if you don't like to shop for yourself and get cash back. One of my favorite stroes to use is Fragrancenet I have been using them to make my fragrace purchases for the past 9 years,because they have the best deals on my favorite smell goods,and because I review fragrances.Now im able to get cashback on my purchases through them like the one you see. Also to mention the hotel,and resort booking portal when combined with the benfit hubs travel portals you can get cash back on Airfare. Which as a travel agent I can tell you first hand not one person in the industry gets a commission on Arifare,but now you can.From using these 2 you will never need to use a travel agent again.I could go on but you have to see for yourself!! I am super excited about the savings we received from using the benefithub. We went to our family reunion over the labor day weekend 9/1-9/3/2018 and saved 16% each night on our suite at Comfort Inn Suites in Wytheville, VA.
You may think 16% isn't much however when your suite is less than everyone else's room at other hotels and you get a full breakfast included not a continental breakfast, you would be leaping as well. So not only did we save on the room, we saved on breakfast as well which would have started at $60 for my immediate family. Movies anyone??? I saved 40% off my Movie Tickets with my Travel 10 Subscription! Everyone needs this subscription to save on everyday purchases! 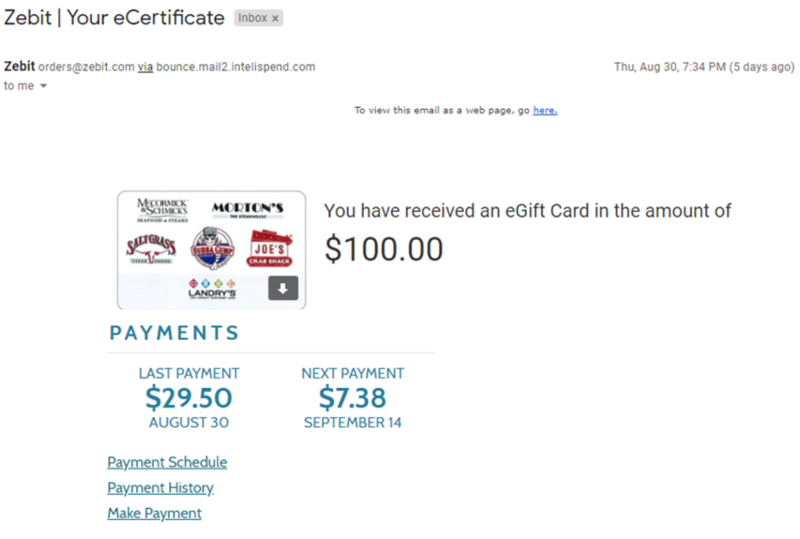 Using the Zebit Creditline program, I was able to purchase this $100 egift card for just $29.50 down! Got to enjoy the full benefit of the egift card with just a $29.50 payment! and can pay of the card in 12 payments of $7.38!! This past weekend I saved $144.21 on my hotel stay! On labor day weekend!! As many are I was skeptical at first. I joined 2 weeks before my vacation and was able to rebook all my hotels before hand and saved well over $100 with in the first use. I am a believer, I had cards made to hand out and I gave them to everyone I came in contact with to share "The Gift" Pay it forward as they say!!!! I used my Gas Buddy Card for the first time and saved $1.92! !